DTS Spinal Decompression Therapy is FDA cleared and has shown clinical promise with an 86% success rate for pain associated with herniated or bulging discs in one study (http://www.therunningdoctor.com/report.pdf) ...even after failed surgery. It is a non-surgical, traction therapy for the relief of back and leg pain or neck and arm pain. During this procedure, by cycling through distraction and relaxation phases and by proper positioning, a spinal disc can be isolated and placed under negative pressure, causing a vacuum effect within it. 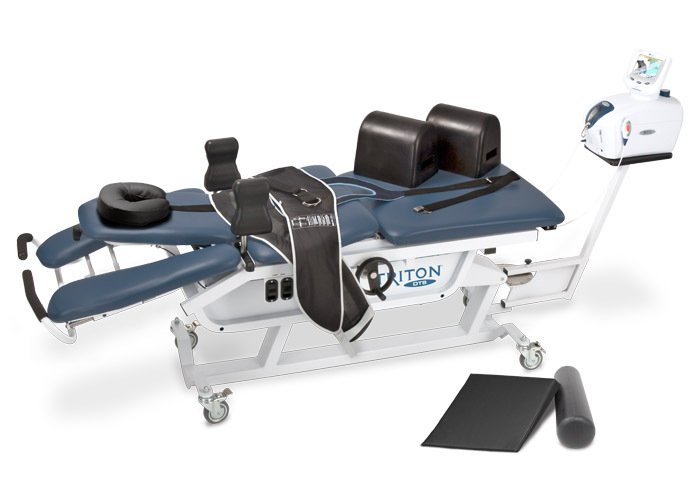 After a significant amount of research, Garrett Chiropractic Clinic chose the Triton® DTS™ system manufactured by the Chattanooga Group, the premier manufacturer of physical medicine equipment. With its unparalleled design, proven history and the Chattanooga Group behind it, the Triton® DTS™ system is the gold standard in decompressive traction therapy. We also selected this system due to its ability to treat discs in both the neck and the low back. You have had previous surgery with hardware such as metal plates. You have sustained recent vertebral fracture. The specific treatment plan will be determined by the doctor after your examination. Based on current research, the best results have been achieved utilizing 20 sessions (about $100 each) over a 6-week period. Based on that most common protocol, the total cost of the DTS treatments would be around $2,00.00. 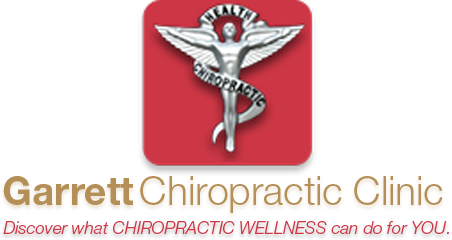 Some of the cost may be covered for patients with Health insurance that includes Chiropractic coverage, our staff would be happy to check your benefits.